Mohamed Merah was still under police siege when the email came from a researcher on Nick Ferrariâ€™s LBC radio show; â€˜are you free to come on and discuss the massacre in Toulouse, and whether this could ever happen in Britain?â€™ The answer was no, but the question, and the invitation, interested me. Why would a London radio show ask a little-known Ireland-based researcher on to talk about events in France, and the â€˜lessonsâ€™ of those killings? I canâ€™t speak for the LBC researcherâ€™s rationale, of course, but given that this wasnâ€™t the first time this had happened, I have a theory. In the immediate aftermath of the London riots, a Dublin radio talk show invited me to discuss the riots and â€˜what this says about multiculturalismâ€™ (again, the answer was no, but after a friend argued with me that this simply vacated the space to oppose, however briefly, the bundle of racialized assumptions bound up in the question, I thought about accepting. To aid this possible change of mind I turned on the radio, just in time to hear the presenter of the show say â€˜after the break weâ€™ll be talking about the London riots and weâ€™ll be asking, does this suggest that Enoch Powell had a pointâ€¦â€™). In these instances, the governmental buzz is extended by the transnational evidence of the problem. Not only are â€˜theyâ€™ to blame but â€˜weâ€™ need to be honest – we are really to blame for letting it get this far. The â€˜itâ€™, of course, is multiculturalism, hence my hypothesis for these media requests: researcher needs a news frame, fast, for foreign event involving dis-integrating minorities. Googles â€˜crisis of multiculturalismâ€™ or some such formulation. Email the name that pops up. Location and expertise donâ€™t matter, as multiculturalism is inherently problematic, as are â€˜theyâ€™, wherever they may be found. Therefore come, talk about Toulouse, talk about London, talk about the price weâ€™re paying and the necessity of correction. The first invitation of this kind made its way to me a few days after the July 22 killings in Norway. Journalist: â€˜does your book predict what happened in Norway?â€™ Again, I can only surmise, but this seemed to be informed by the same set of assumptions, but in this instance amplified by the intensive ideological labour, in the aftermath of the killings, to find ways of denouncing Anders Breivik while imbuing his ideological justification with explanatory significance. The framework of the â€˜failure of multiculturalismâ€™ is powerful because it allows for opportunistic ideological work: as The Jerusalem Post editorial argued at the time, Â “Oslo’s devastating tragedy should not be allowed to be manipulated by those who would cover up the abject failure of multiculturalism”. But as the other examples suggest, its power also derives from its status as a kind of transnational common sense, which makes it a useful news frame in the context of non-stop news-making about places, societies and contexts that journalists may know little about. It is in response to this that I wrote two blog pieces last week that The Multicultural Politic wished to re-post here. 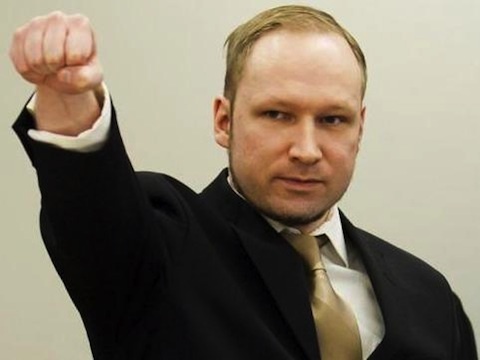 The first, on Irish Left Review, takes a look at some of the opportunism that has accompanied the first two weeks of Breivikâ€™s trial in Oslo. The second, on Counterfire, examines the rush to extract â€˜lessonsâ€™ from the trial.